I became fascinated by an idea written about on the blog Strange Maps. 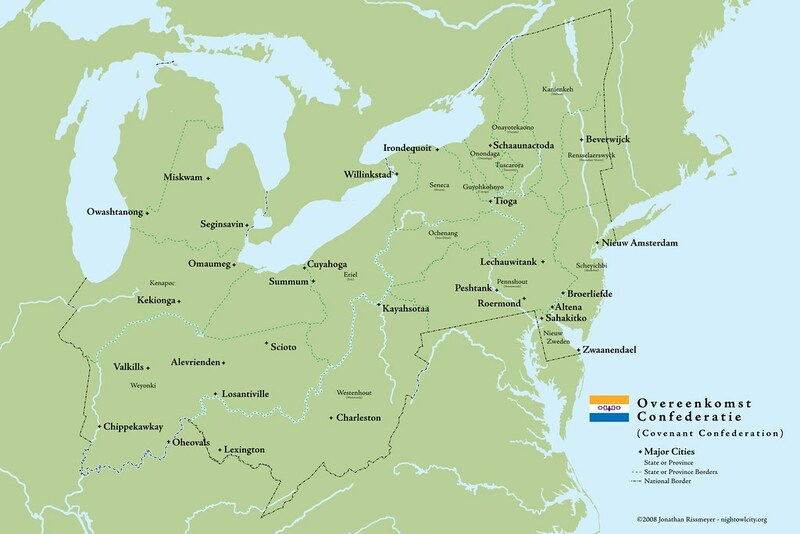 What if the Netherlands never gave up New Amsterdam? The Strange Maps post based on a map created up Paul Burgess, who outlines his idea's of the scenario. But I had a few issues with the way Mr Burgess created it and loving maps and history I decided to give it my own try. It's incomplete and still has many holes, but it was fun to make. The city names and locations are based on a combination of found Native American places, bablefish translations and my own imagination.